Ok, I found a nice kit today. Staedtler Lumocolor pens and markers are some of my favorites. This set has sizes from S = Small, F = Fine, M = Medium and ending with the large Chisel. There is one interesting feature that made me buy this set. That is the Medium sized marker is a Duo with a Fine tip on the bottom. Normally I find the Medium in the Pen barrel and this one is in a larger barrel size. It’s a perfect fit for my hands and very comfortable. I am hoping that I have found a new everyday carry. If only it came in a metal Barrel. Oh and did I mention that these are all refillable, some of the best and most affordable German pens you can find. This set cost 5.99€, which is only a marginal saving most of these are 1.50 – 2.00€ a piece. Worth every penny. Now these are not micro liners, and would not replace a set of Microns or other urethane fine liners. the smallest size is the S which Staedtler says is a 0.4mm and that sounds right. i may have guessed 0.5mm if I hadn’t known. That is also the only one in this set that is a urethane tip, the rest are all felt. So here is the S, as you can see they are very wet when new and easily bleed through the paper. Had I used marker paper that would not have been an issue. 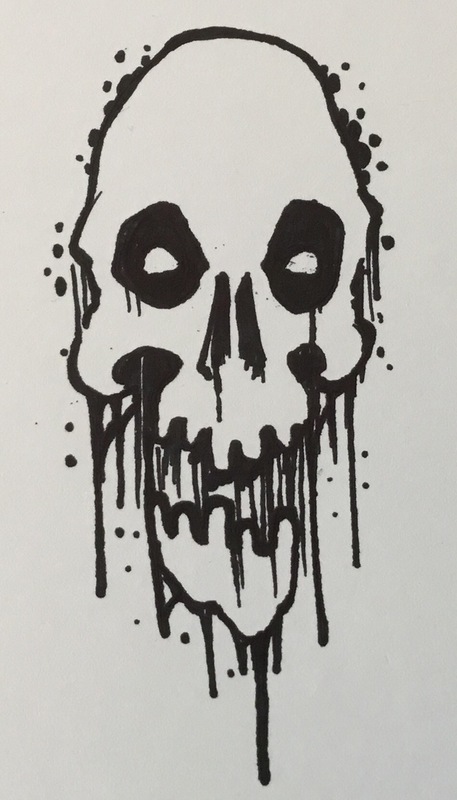 I like this one a lot and when used on the correct paper, I feel like I have a lot of control. This would be my second favorite. My favorite is the F, which I stated earlier was for fine tip. However this could easily be for felt as well. It is a semi hard felt tip with a little flex and for this type of felt tip, I would call this one of my favorites. The tip lasts a long time before deforming and with the slight flex allows a good amount of control. The M is surprising stiff and has better control than say a sharpie or other bullet tip marker. For bold lines and small fill this is a pure winner. Having the Duo tip in this set is a big win for me. Here is the chisel tip, hopefully you can see that it makes a wonderfully dark and saturated line. 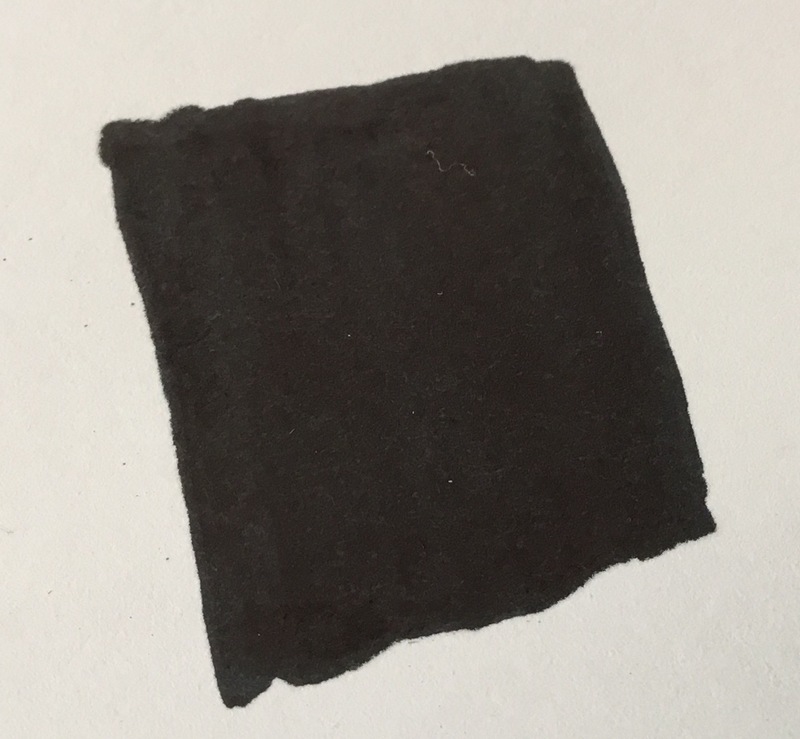 The ink is also nicely black and not shiny. I find with a lot of permanent ink has a golden sheen to it. 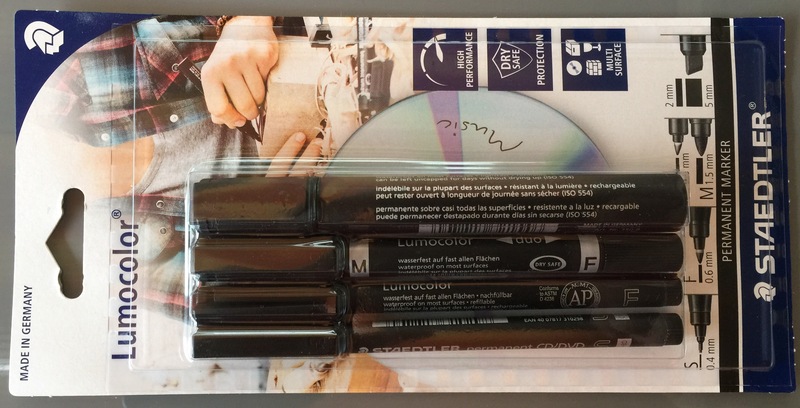 The Lumocolor black is only black and light fast as well. Here is a sample of filling in a solid block. It is well saturated and fairly even. This is the kind of saturation I would expect from a more expensive marker. Although I have to admit that I live in the home town of Staedtler and the prices and selection here may be artificially better than other parts of the world. I have received no endorsement for this review and have paid for the pens with my own money.